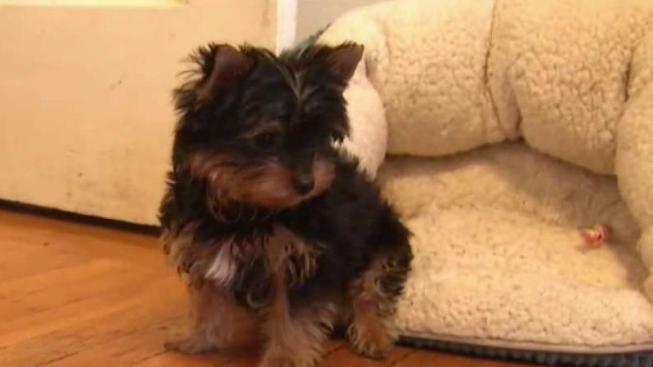 A paramedic with the San Francisco Fire Department is being accused of taking a puppy from a family in the midst of an emergency medical situation. The family says they feel victimized by someone who was supposed to be there helping them. A woman, who asked NBC Bay Area to not use her name, says on October 30 her husband felt ill after a dialysis treatment. The couple is originally from Laos. She says as two paramedics were treating her husband in the ambulance, a third paramedic who stayed behind suddenly asked to take a puppy. "I say, 'you can come back tomorrow and take the dog. Take care of my husband first,'" the woman recalled. She says the paramedic insisted on taking the puppy right then there. Fearing her husband's condition would worsen, the woman says she let the paramedic take the dog because she didn't think they would leave without it. Family friend Kevin Chung tracked down the puppy with help of the fire department. The dog was reportedly given to friends of the paramedic. "It's crazy. I mean, you shouldn't be taking advantage of these people during that situation -- in her condition, in his condition," Chung said. The fire department says it is investigating the incident and declined to name the accused paramedic. But the family tells us a fire captain came Wednesday with an interpreter and said the puppy will be returned on Nov. 21 after a health quarantine. The paramedic faces disciplinary action, according to the fire department.